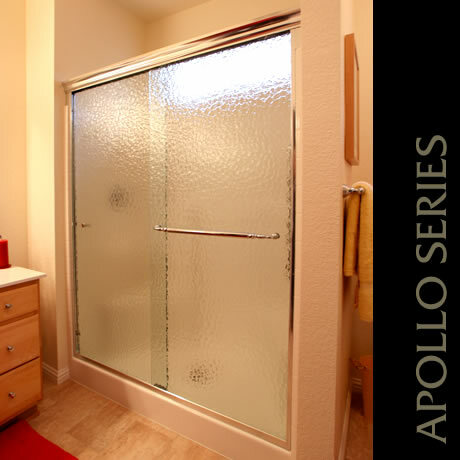 The Apollo series enclosures are our premium aluminum shower enclosure. The header resembles crown molding and the wall jambs look like fluted wood. Solid through-the-glass hardware resembles turned wood and have a great feel. 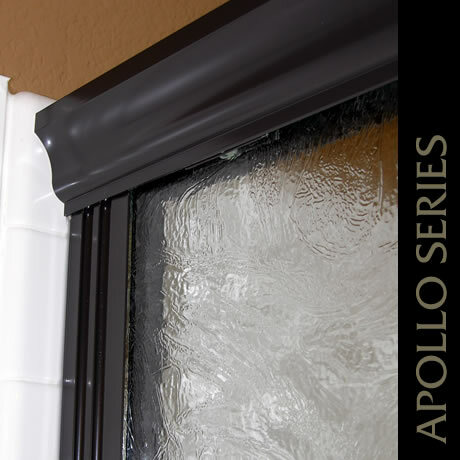 For smaller shower openings our standard wall jambs can be used in place of the wider Apollo style wall jambs.The Apollo Series is available with our optional Cardinal S-Curve glass. 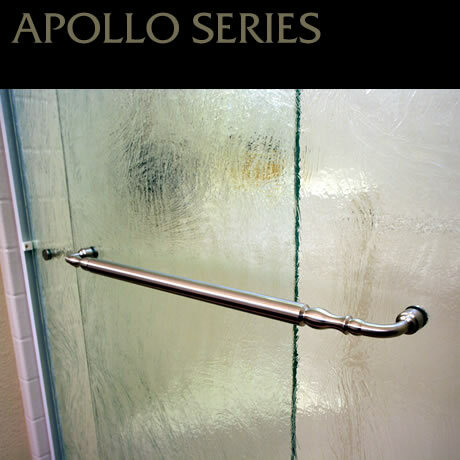 The Apollo series can accommodate 1/4″ glass while the Heavy Apollo series can take 3/8″ clear, patterned or even cast glass, creating a gorgeous slider.